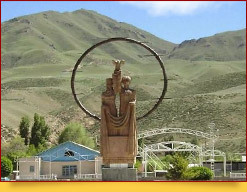 Naryn is a small Kyrgyz town, the administrative center of the Naryn region and district. It is located at an altitude of 2000 meters above sea level, on the banks of the Naryn River, at the intersection of the Bishkek - Torugart highway. 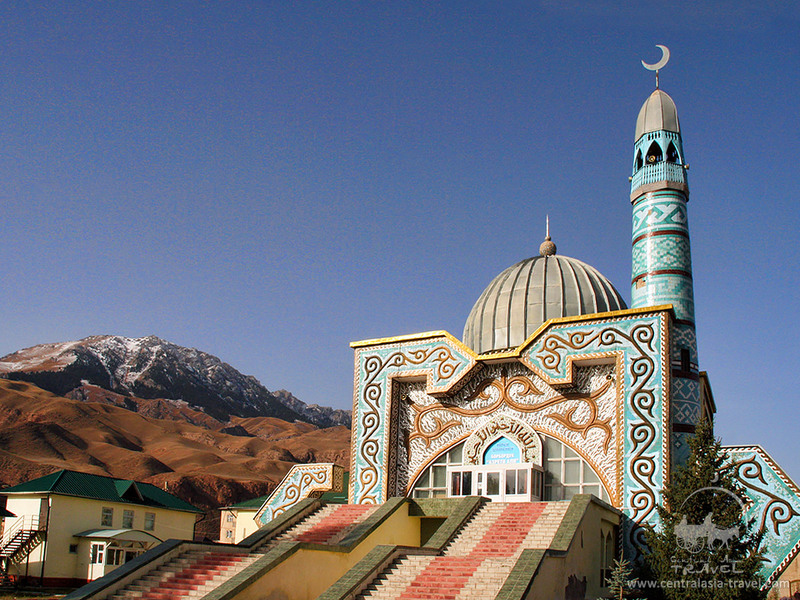 Naryn lies 350 km from the country's capital, Bishkek, and 200 km from the Chinese border. Therefore, Naryn is sometimes called the gates of China. Naryn is often regarded as the coldest town in Kyrgyzstan, because cold and long winter lasts 145 - 165 days here. The average January temperature is -17 ° C, sometimes it can hit -25 ° or even -38 ° C. Summer is dry, moderately warm and dusty. The average July temperature is + 18 ° C.
Naryn is an amazing place, a tourist town with unique resources, among which there are nature beauty of any kind. Picturesque passes, deep gorges, turbulent mountain rivers, magnificent lakes and waterfalls, eternal snows and glaciers, as well as ancient original culture - all this make the area a unique place. 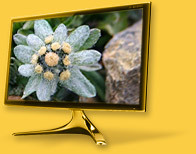 No tourist can stay indifferent, even those accustomed to spectacular views and experts in pristine nature beauty. 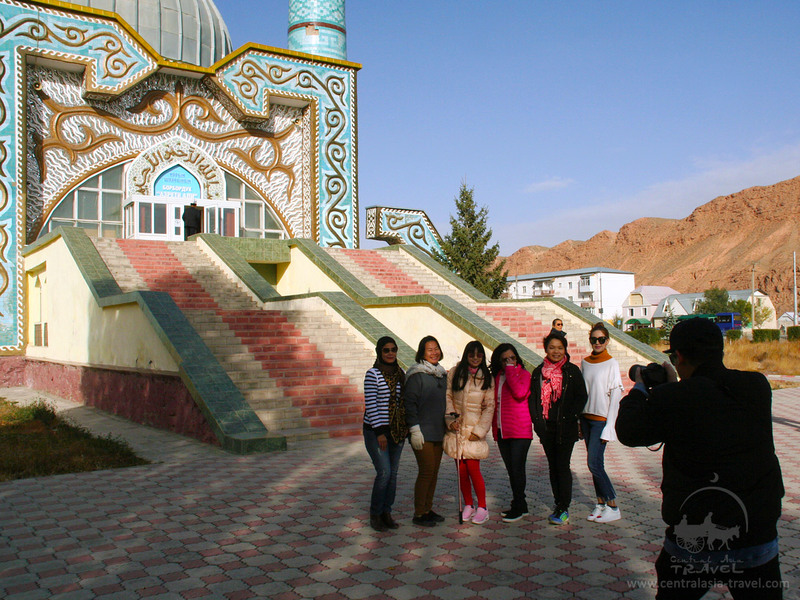 The town of Naryn is also a regional cultural and administrative center, where Naryn State University, the local history museum, Musical Drama and the “Manas Ruhu” National Theater are located. There are several hotels in Naryn, such as “Heavenly Mountains”, “Ala-Too”, “Kerme-Too”, and the recreation area “Salkyn-Tor” with a hotel complex. 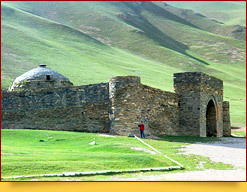 In addition, Naryn serves as a starting point for many tourist routes along the Tien Shan ridges. From here, they are going on a journey to multi-day horse and hiking routes, as well as to hunting tours. Unique surrounding alpine landscape is especially interesting for visitors. According to legend, the name of the city means the name of horse meat soup. Other sources say that the word "Naryn" comes from Mongolian, which means "sunny", or from Chinese, meaning "narrow". The first in line to claim the title of the city’s main attraction is the Tash-Rabat complex. It is a historical and cultural zone, which includes two of the oldest monuments: the Tash-Rabat caravanserai and the Koshoy-Korgon hillfort. The Tash-Rabat caravanserai is one of the rare well-preserved monuments of the Middle Ages. It is located at an altitude of more than 3000 m above sea level in the picturesque gorge of Kara-Koyun, 60 km from the village of At-Bashi and 90 km from the city of Naryn. Tash-Rabat was built in the 15th century on the ancient trade route from Central Asia to China and served as an inn for merchants, ambassadors, travelers and other wandering. This is the largest building of Central Asian architecture of that era, built of stone. It is distinguished by not only its size, building material, but also a kind of layout, based on a clear symmetry. Lost among the pristine nature, far from populated areas, the caravanserai seems harsh, monumental and impregnable to onlookers. 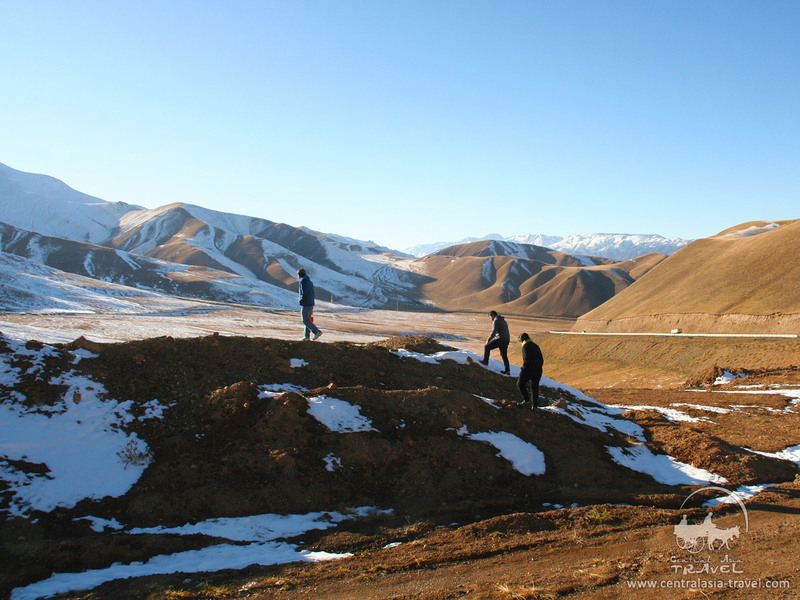 Koshoy-Korgon hillfort is located 12 km from the village of At-Bashi. It represents the remnants of the fortress that existed in the 7th - 10th centuries on the caravan trade route in which the headquarters of the Turkic khans was located. Allegedly, it is named after Koshoy – chieftain hero and Manas’s ally. 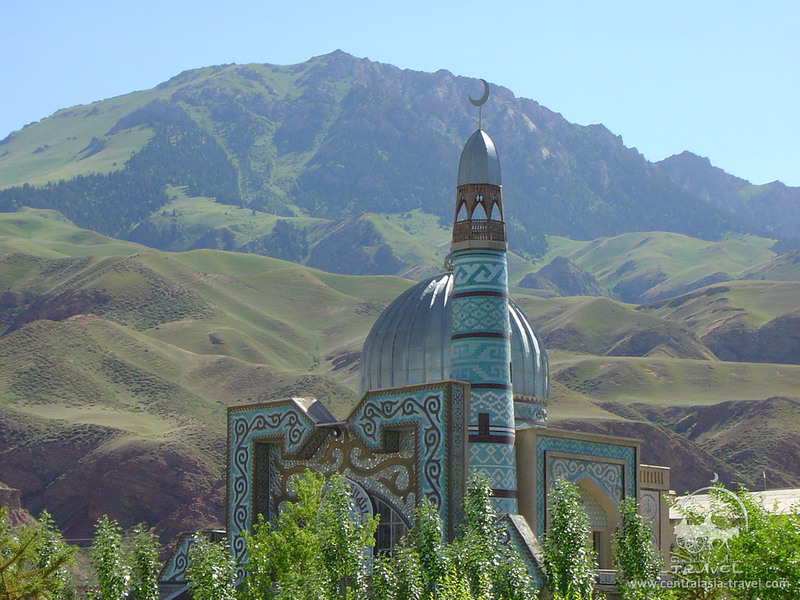 It was built to protect Kyrgyz land from Chinese armies. Once the hillfort whose ancient name was At-Bash had a square of more than 6 hectare – more than enough to host a whole army within its walls. The walls that now had sunk underground for more than half were 10 meters high and 7 meters wide. Almost all forts constructions are underground now. It has been proven the fortress was encircled with a moat and had 50 watchtowers. However, 30 years after it was constructed Mongolian invaders had demolished it. Hillfort had regained its role when Tamerlans army renovated it almost a century after tragic devastation. Afterward it served as a trailhead for Tamerlan’s eastern treks. This place is excellent for rafting all categories of difficulty. On flat areas this is a relatively calm stream running among the picturesque nature. However, should it get into narrow stony passes, as once quiet waters rush somewhere down, hitting the coastal stones. The mere sight of this unruly mountain element dazzles even the most persistent and imperturbable professionals. 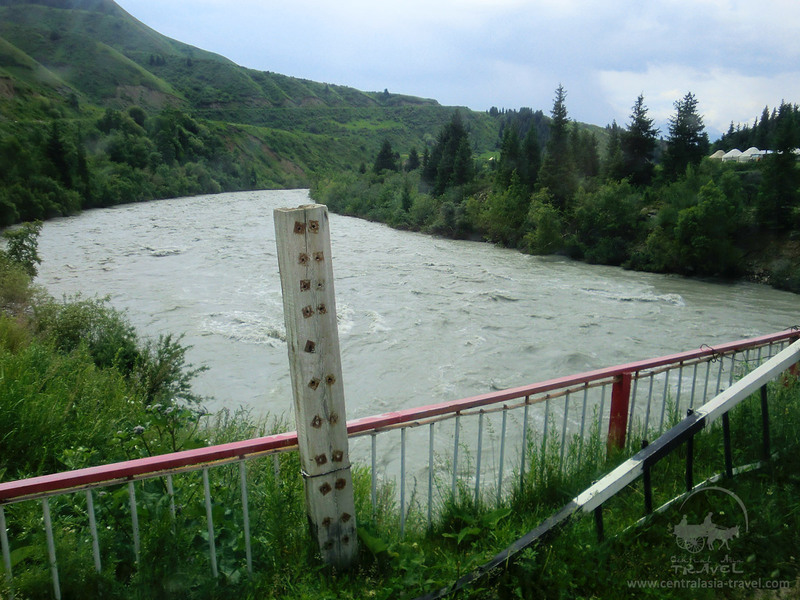 The season for traveling along this mountain river is from April to November, and the level of difficulty depends on the season (during the melting of glaciers the water level in the rivers increases greatly, and during the hot summer months the water level sharp daily fluctuations can occur). The main water obstacles of the highest, 6th category of complexity on it, are Ak-Shyirak gorge and Kambarata canyon. In addition, most people generally prefer to admire these places from the shore. 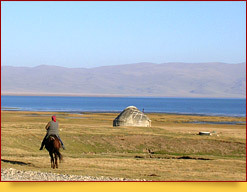 Lake Son-Kul is the largest freshwater and the second largest water body in Kyrgyzstan. It is located within the inner Tien Shan at an altitude of 3016 m above sea level, 90 km north-west of the regional center Naryn. In summer, the water temperature rises to 11 ° - 12 ° C, from November to May the lake’s surface is ice-bound. Since ancient times, the Kyrgyz loved the valley of Son-Kul Lake; they always drove their herds here for summer pastures, the fact proven by a large number of barrows were found here. In the summer, different types of ducks, gulls and other waterfowl nest in the area. The lake’s coast is home to many predators species (snow leopard, red wolf, and fox). In July, a highland lake Son-Kul hosts a festival that includes equestrian competitions and cooking national dishes. Lake Chatyr-Kul is the third largest lake in Kyrgyzstan. It is 11 km wide, 23 km long, and 19 m deep. The lake is located on the western margin of the Ak-Sai valley between the At-Bashy and Torugart-Too ridges at 3,520 m above sea level. Many species of animals live near the lake: red marmots, mountain goats, snow leopards. The lake’s southeastern coast is a favorite nesting place for Indian mountain geese listed in the Red Book and various ducks species. Here one can also find relic Tien Shan blue spruce, Turkestan archa, various medicinal plants (sea buckthorn, ephedra, Saint-John's-wort, yarrow, valerian) and many others. 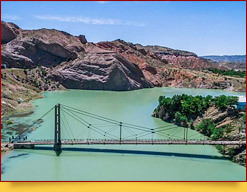 Naryn and Karatal-Japyryk state reserves are located on the Naryn River. Naryn and Naryn region are rich in all kinds of outdoor activities, you can also watch the national Kyrgyz games, try natural mineral water from mountain springs and much more. 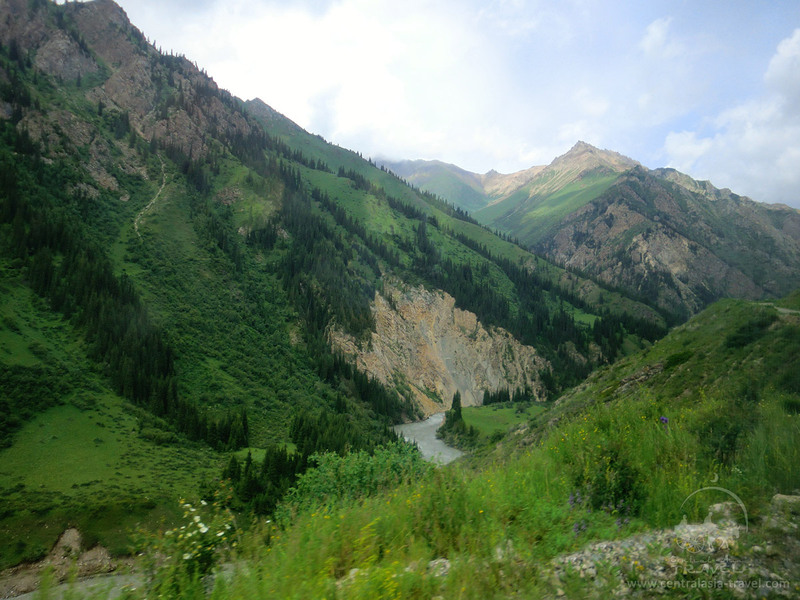 Our company Central Asia Travel will help you by organizing qualitatively a tour to this wonderful city in Kyrgyzstan.